Antoine ‘Cavett’ Azzopardi, the drug-dealer who runs the illegal restaurant and entertainment operation Cavett’s Place, with Marco Gaffarena who owns it, on the Tal-Handaq Industrial Estate, has a brother called Karmenu. Karmenu Azzopardi is on the state payroll in a ‘position of trust’ as chauffeur to Ian Borg, the parliamentary secretary for EU Funds. 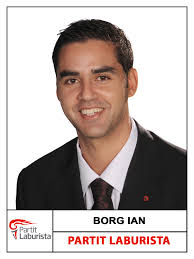 Antoine Cavett – his brother Karmenu is employed with PS Ian Borg, in a ‘position of trust’ as his chauffeur.